Some fans of the Gremlins series aren’t satisfied with drawing pictures or making fan-films or fan-fiction. These superfans take it to the next level with getting permanent alterations honoring their favorite films in ink on their bodies…If you have a Gremlin on your body, or have drawn up needle-friendly designs for others to use, feel free to show off your awesome tattoos here by sending a picture to Gremlins Online! 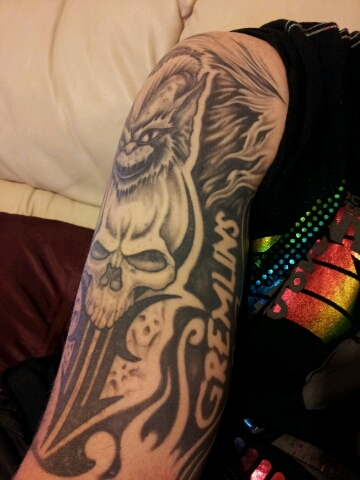 He says that the next tattoo will be Rambo Gizmo and that they represent both the good and evil sides of him. 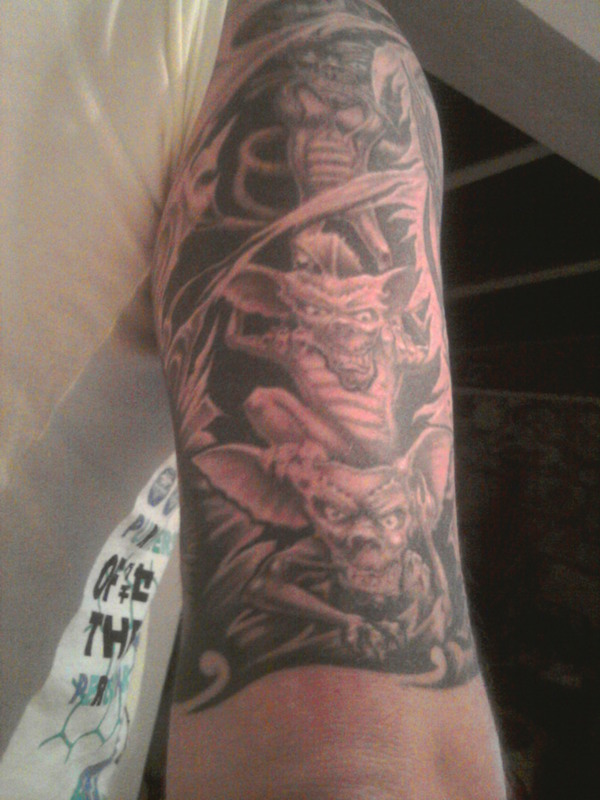 As fierce as that gremlin looks, it sure makes me hope that gizmo wins out more often than not..
Inkwork done by Roger at Steady Tattoo in Mineapolis, Minnesota. Ninasoldada shows off her dedication to everyone’s favorite majority mogwai, and the attitude that seems to be built into Gizmo’s smug mug. She also says to stay tuned since more mogwai and gremlins might pop up on her skin in the near future…let’s hope so! 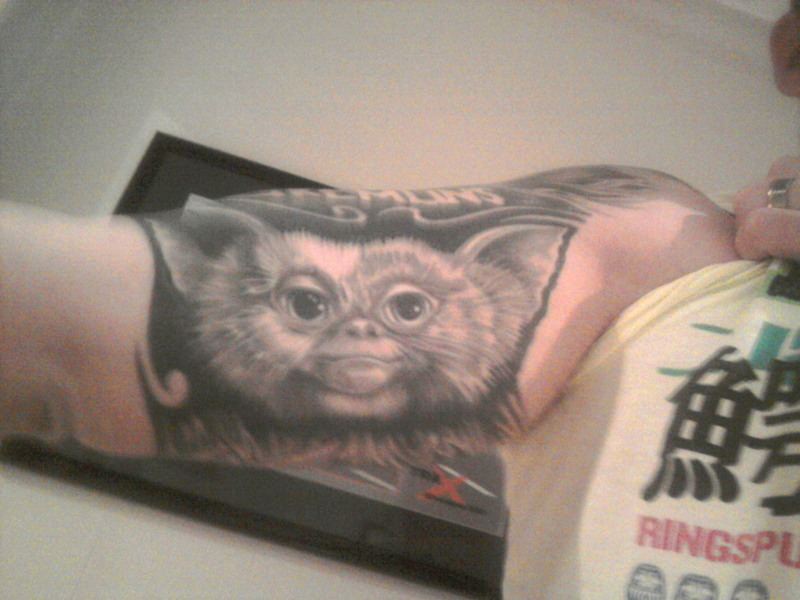 You should see my tattoo of Gizmo..
Gremlins Online is the web's most comprehensive guide to everyone's favorite cute and cuddly furballs that cannot be fed after midnight, Gremlins. This is a re-imagining of a site that was opened in 1997 called "The Gremlins Homepage". The site operated in various forms and on various hosts until 2005 when it was taken down for a few months to reopen as the site you see today!